Home Articles Car & Driving Technology What’s Going On with Pennsylvania’s Autonomous Car Rules? Pennsylvania transportation regulators are looking to the state's legislature to allow them to enforce new rules for the self-driving vehicle industry there. California and Arizona may be competing to remove the most obstacles from the race for autonomous cars, but at least one state seems interested in adding a few more hurdles along the testing track. In 2015 Uber turned the state into a self-driving hotspot when it launched the world’s first-ever public driverless rides there. The allure of Pittsburgh’s prestigious Robotics Institute at Carnegie Mellon University attracted the rideshare giant. Uber officials had been on a hiring spree in the city, poaching a number of professors from the school to work on its technology. And the Keystone State welcomed the Silicon Valley phenom with open arms—at first. It offered more relaxed regulations than Uber’s native California to encourage the company and others like it to utilize its roads for their experiments. But that was before the vehicles were implicated in any fatal accidents involving pedestrians. The death of Elaine Herzberg this March has loomed large over the self-driving world, if not translating directly to new restrictions on the vehicles, at least impacting the public’s sentiment about the machines. After the Arizona woman was struck and killed by a self-driving car in Tempe, much of the industry pulled back on testing or temporarily suspended their experiments. Arizona officials banned Uber from testing there. Yet in other pockets of the country, including Pennsylvania, the technology has continued to roam the roads freely. Now state officials want to pull on the reins. In the wake of Herzberg’s death, Pennsylvania Department of Transportation (PennDOT) officials issued an updated list of regulations for autonomous cars. Whether companies will be legally obliged to follow the new rules—and whether testing epicenter Pittsburgh will have any say at all—is still up for debate. A PennDOT task force wrote the state’s initial autonomous car regulations in November 2016. The list included the minimal approval criteria for a company to test in the state. It set limits for the type of data companies could collect during self-driving experiments and stipulated certain safety features to be included in self-driving cars, among other rules. The document also included definitions for several sensitive terms in the industry, including “driver.” Its authors described that as “a natural person” assuming physical control of the vehicle. Following the deadly March incident, PennDOT Secretary Leslie Richards announced a new group of guidelines to be added to the list. The updated rules call on carmakers to share more information with the state. This includes who will be responsible for “driving” the vehicles, where the cars will be, and details on how they’ll be tested. But barring any action on behalf of the state legislature, the concepts—old and new—can only remain suggestions. PennDOT lacks the legal authority to enforce the rules. And while Richards said she “expects compliance” from Uber, Aurora Innovation, and other big-name companies testing in the state, her agency can take no legal recourse if they choose to flaunt the rules. A bill granting PennDOT those powers is circulating in the statehouse. It’s unclear, though, when—or whether—it will come to the floor for debate. In the meantime, cities like Pittsburgh, which bear the brunt of the testing, have even less say in how their roads can be used. 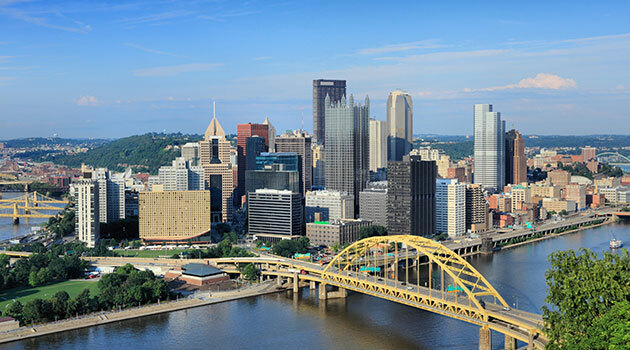 The Steel City is home to most of the state’s autonomous testing. That’s thanks not only to the Robotics Institute but also its four-season cycle and large number of bridges, which are notoriously tricky for self-driving cars. Yet for all it offers the vehicles, the city gets little control in how they’re tested. 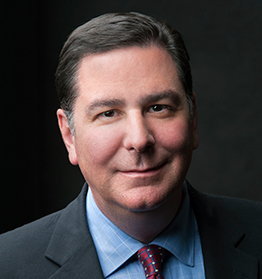 The conflict is frustrating for Pittsburgh Mayor Bill Peduto. His city should “have a very strong voice in whatever Pennsylvania should decide to do,” he recently told reporters. Among such criteria, Peduto has pushed for a 25 MPH speed limit for all autonomous vehicles—but his calls for change have consistently gone unanswered. The mayor planned to make his requests at a meeting of PennDOT officials and the representatives of more than a dozen self-driving car companies. It was cancelled at the eleventh hour. It hasn’t been rescheduled, though Richards, the PennDOT secretary, said she would meet privately with Peduto to discuss his concerns. Still, even when the mayor has reached out directly to companies using his streets, he’s had difficulty. Requests that Uber refrain from testing there until a federal report on the deadly March incident had been completed—and all federal safety suggestions followed—were bypassed last month. Uber officials announced they would start testing in Pittsburgh again in June. Peduto responded with a strongly-worded statement, though short of projecting his unhappiness, there’s little the mayor can do. In the race to unleash autonomous cars on the world, Pittsburgh’s demands may prove little more than a speed bump.